ABC’s new hit TV show Once Upon a Time hooked me in from the very beginning! It’s a fairy tale told with a twist, and a show that you have to watch from the beginning to grasp every single nuance. It’s also a great source of fashion inspiration. If you haven’t seen it, it’s basically a story about Snow White. It begins when Snow White and Prince charming are about to get married and the Evil Queen curses them (and everyone else living in Snow White’s fairy tale) back to a modern day town, where the characters don’t remember who they are or why they live in a small town called Storybrook. Only the Evil Queen (who becomes the modern day Mayor named Regina) knows who each character really is. 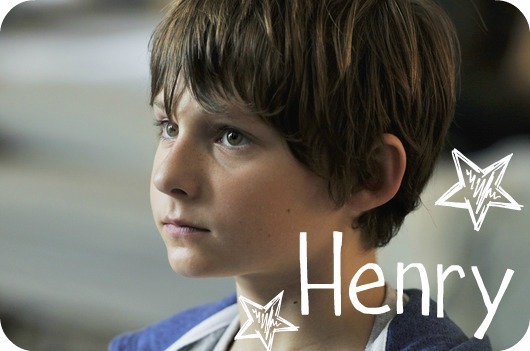 Henry (Regina’s little boy) is given a very important story book by his teacher, Mary Margaret, and he begins to figure out this mystery with the help of his biological mother, Emma. The Evil Queen’s inner workings begin to unravel and things begin to change for good. Confusing, I know, but once you start watching it you won’t be able to stop! Trust me. 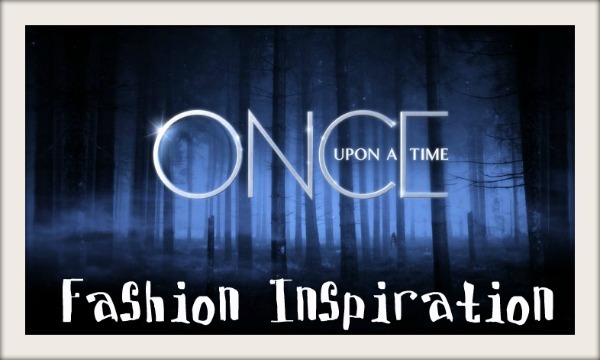 For this post on fashion inspired by the show, I focused on three main characters. Here is a little cheat sheet to remember what the character’s modern name is, and what their storybook character really is. Now that you are thoroughly confused, or maybe you’re following along… here’s the information you really came here for – Heigh ho heigh ho… it’s off to fashion we go! Mary Margaret (Snow White) is an endearing soul who loves to wear soft colors and lots of skirts with whimsical patterns. For this outfit, I chose a lace top that can be layered with a navy blue cardigan with bow details. Next, I chose a floral skirt and beige/pink flats. When accessorized with an apple necklace and a leather satchel, you’ll be ready to start singing with the animals in the forest and hanging out with your favorite seven dwarf friends. Feel free to add tights/leggings or more layers if you’re wanting to wear this in cold weather! Emma Swan (Snow White’s Daughter) plays the savior in this show. She also becomes the Deputy for Storybrook. As such, her wardrobe is simple: She usually wears her trusty leather jacket, a white t-shirt/tank, and a nice pair of jeans. Don’t be fooled by the simple pieces, though – her style isn’t boring! Accessories make all the difference here: I used a green scarf, watch necklace, ring, and star earrings to spruce up this look. Then, for your hair, just curl it all over and tousle. You’ll have the perfect Emma Swan look! Henry is Regina’s adopted son and Emma’s real son. (Confusing, I know.) He is very trendy for someone so young, and I thought I would capture his youthful look in a way that would be wearable for college women everywhere. I chose a plaid button up, and a black peacoat for the top. Then, I paired that with some straight legged jeans and black boots. For the accessories, I chose to go with a chunky knit scarf as well as braided bracelets, a “Believe” ring, and a key necklace. All of these whimsical accessories add to the “Henry” look and capture this motivated child’s style perfectly. Which outfit is your favorite? Which characters are your favorites? Let me know in the comments below. I know there are a lot of Once Upon a Time fans out there!